Glaucoma is a disease characterized by progressive damage to the optic nerve that generally presents with a subtle loss of peripheral vision. If not properly diagnosed and treated, glaucoma can progress to loss of central vision and blindness. Glaucoma is usually, but not always, associated with elevated pressure in the eye that leads to optic nerve damage. In some cases, glaucoma may occur in the presence of normal eye pressure. Worldwide, glaucoma is the leading cause of irreversible blindness, with over 3 million people in the U.S. affected by the disease. As many as half of the individuals with glaucoma, however, may not know that they have the disease, as it initially causes no symptoms, and the loss of peripheral vision is hardly noticeable. 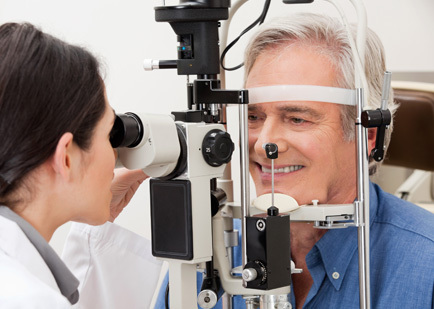 If you or someone you care about has been diagnosed with glaucoma, the physicians at Eye Consultants of Syracuse can help.